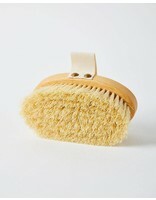 Heaven in Earth massage brush that is ideal for massaging dry skin to promote blood circulation and exfoliate the skin. 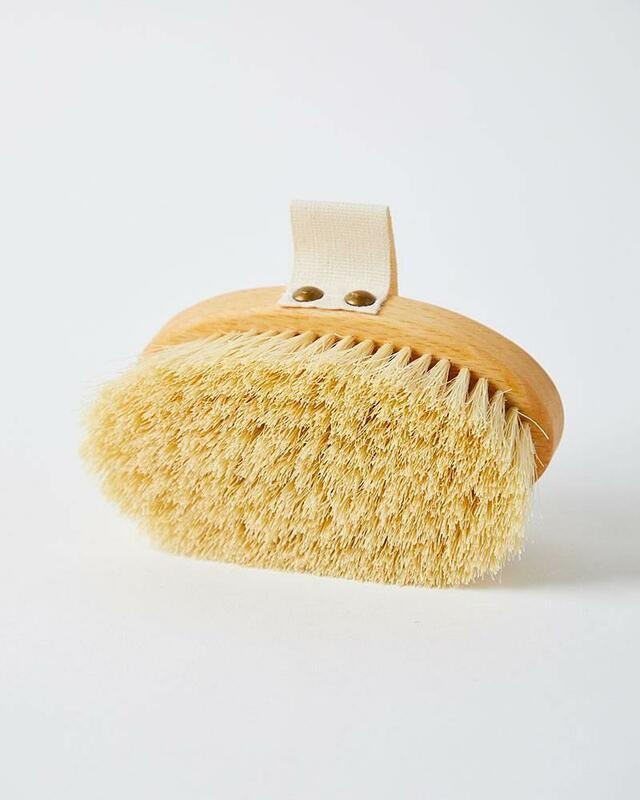 Made from natural and locally grown beech wood with pure natural fiber (vegetable fiber) bristles and cotton belt. 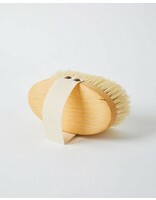 Brush head : 5.4" x 2.8"
Wood may age if exposed to water or humidity.